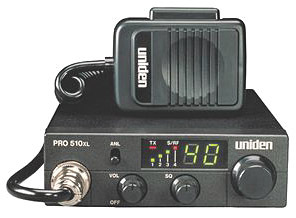 This compact CB transceiver incoporates state-of-the-art microelectronics into a sophisticated Euro-styled 2-way radio. The superior emgineering of the PRO510XL will treat your ears to professional 2-way radio communications as you've never heard it before. **ANL SWITCH **COMPACT SIZE **FULL 40 CHANNEL OPERATION **S/RF METER. "Always a Whale of a Deal!" © 2019 Palco Electronics, Inc. All rights reserved. The Palco whale is a trademark (tm) of Palco Electronics, Inc.